Gopher hole is a geological marvel. The actual sink is quite small. You can see where it gets its name from. Depths are to 100 feet. There is another entrance on top of the bluff that goes straight down. Water is visible from the viewing area. This used to be a favorite of cave divers but is now off limits. 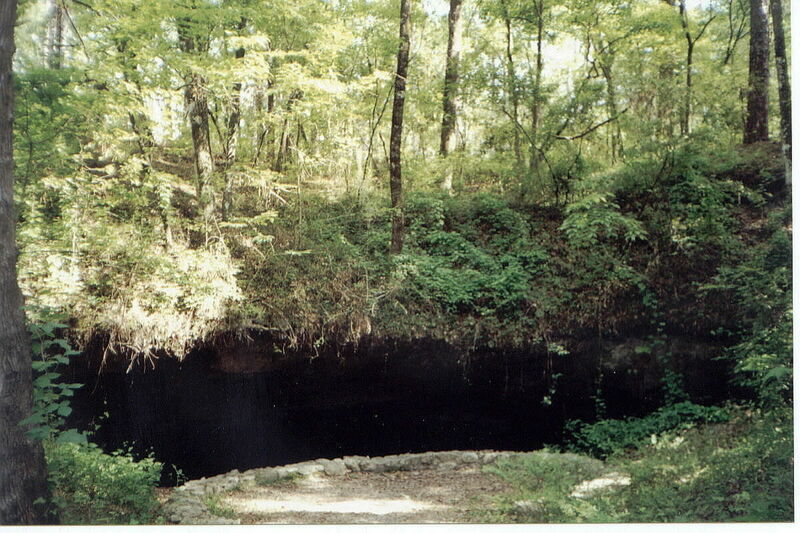 The area is owned by the U.S. Forestry and operated inside the Leon Sinks park. There is no scuba or swimming allowed. In Leon County. From Capital Circle head south on 319 for 8 miles. Look for Leon Sinks sign on right.